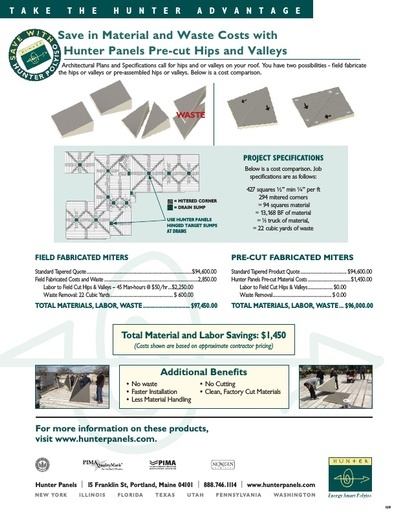 Designed to save you time and money! 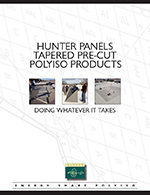 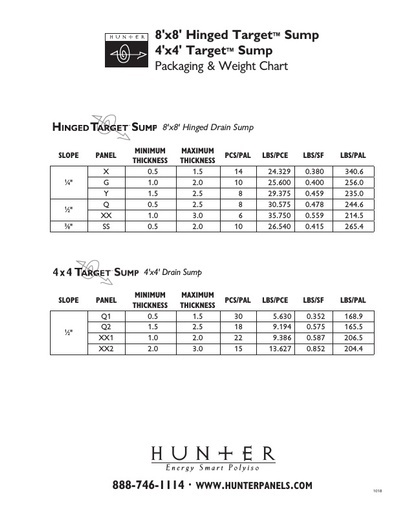 Hunter Panels Tapered Department consists of designers, estimators, customer service and field personnel. 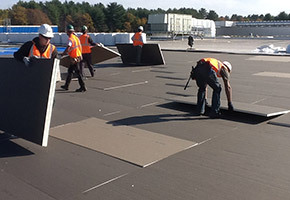 We assist you in design and installation of the most efficient tapered polyiso solutions to meet your specifications and budgetary needs. 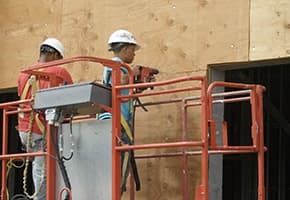 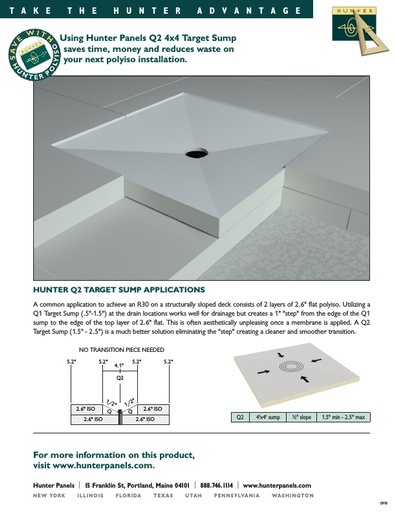 Using Hunter Panels full line of tapered polyiso panels and tapered pre-cut accessories saves you time and money. 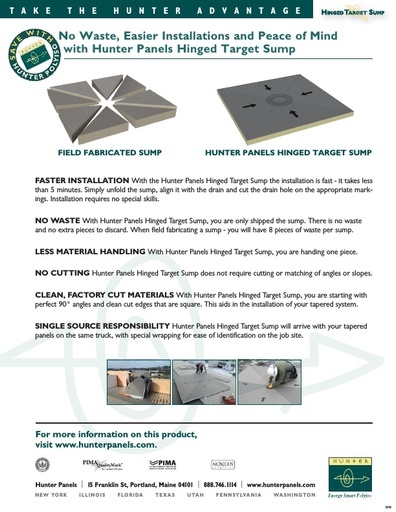 These accessories compliment your tapered system and, as always, they come with Hunter Panels Whatever it Takes guarantee! 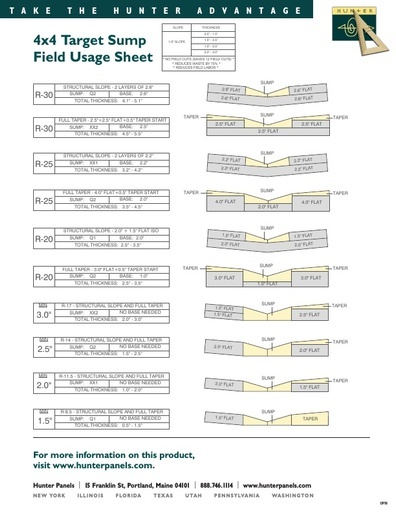 Pre-Cut Hips (slope outward) and Pre-Cut Valleys (slope inward) are factory produced using two, 4’x4’ panels cut in half at 45 degrees. 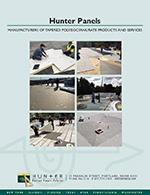 Only the two halves required for installation are shipped.